The World’s Lightest Body Armor, Even Lighter. 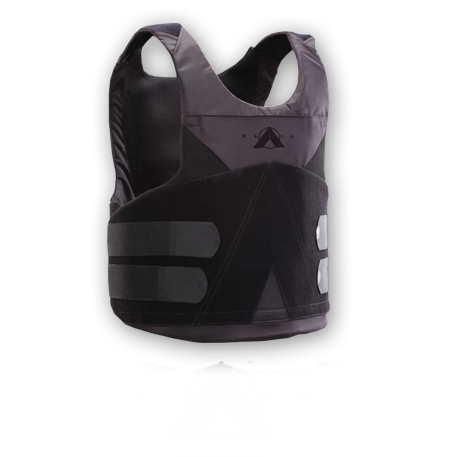 When Point Blank introduced the revolutionary Alpha Elite Series, we set a new low, creating the lightest body armor in history. Now we’ve done it again. The new Alpha Elite Black is even lighter than our original Alpha Elite, weighing a mere .79 psf. And with the latest generation of Dyneema® Force Multiplier Technology by DSM, a Point Blank exclusive, it offers a combination of light weight and protection previously unknown to ballistic science—with V50s greater than 2,000fps! Contact us today to learn more. And get ready to feel the light. More than three years in research and development, the patented Dyneema® Force Multiplier Technology is a product of DSM Dyneema’s program for radical innovation. DSM Dyneema engineers created an all-new ultra-high-molecular-weight polyethylene (UHMWPE) polymer, breaking new ground in polymer science. This polymer was then applied to the company’s patented gel-spinning technology, in which it is spun to disentangle the polymeric chain and then drawn to superior ratios. This created a fiber with strength that is completely unique in the realm of science—one that made the world’s strongest fiber even stronger. Literally thousands of these individual fiber filaments are aligned in a unique 0˚/90˚ configuration to create the ballistic material itself. In effect, unidirectional fibers are placed at right angles to one another. Then they are laminated together to form sheets. Each sheet thus combines the unprecedented strength of the fiber with the flexible thinness of the matrix design. In developing the Alpha Elite Series body armor, Point Blank engineers tested more than 400 different materials to find the best choice for the needs of the military. After these exhaustive tests, only one, single material truly excelled: DSM Dyneema's Force Multiplier Technology. It was really no contest. In the end, we found that the very best ballistic material for our armed forces was also the very best material for our nation’s law-enforcement officers. And that is today’s Alpha Elite Series. The revolutionary RMV GEN IV tactical armor system offers high-performance ballistic protection integrated in a fully functional and scalable design to meet the strategic needs of your specific mission. 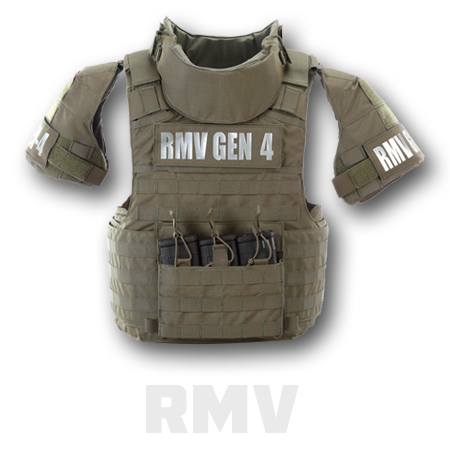 For immediate doffing of the vest, the RMV GEN IV vest can be rigged for release, using three different styles of release. The Elite — Incorporating the latest advancements in ballistic and smart fabric technology, the new Elite concealable body armor system truly outperforms and over-delivers in lightness, thinness, flexibility and overall performance.